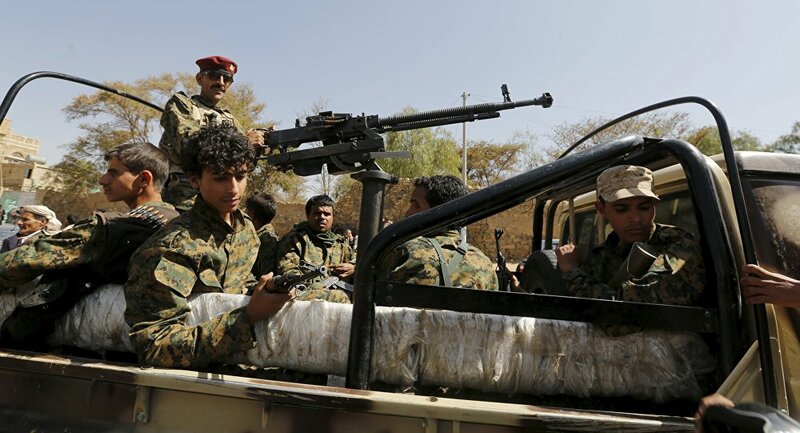 Two civilians were killed in a shelling, carried out on Saturday by Yemen’s Houthi militants on the Saudi southwestern city of Jazan, the Saudi Al-Ekhbariya TV channel reported citing Saudi-led Arab coalition’s statement. On Tuesday, the Royal Saudi Air Defense Forces (RSADF) reportedly intercepted a ballistic missile launched by Iran-backed Houthi movement from Yemen targeting the Saudi territory. The Command's spokesman, Col. Turki Malki, said that the missile was targeting the city of Yanbu, however, it was reportedly destroyed causing no damage or injuries. The RSADF has repeatedly intercepted ballistic missiles launched by the Houthis to target Saudi civilian and populated areas. At least two ballistic missiles were destroyed in April targeting the Saudi province of Jizan, bordering Yemen, which has been engulfed in a violent conflict between the government headed by Yemeni President Abd-Rabbu Mansour Hadi and the Houthi movement, also known as Ansar Allah, since early 2015.
International organizations and human rights groups have repeatedly expressed alarm over the humanitarian situation in Yemen and sufferings of citizens.